This oatmeal is so good, I could have it for supper! 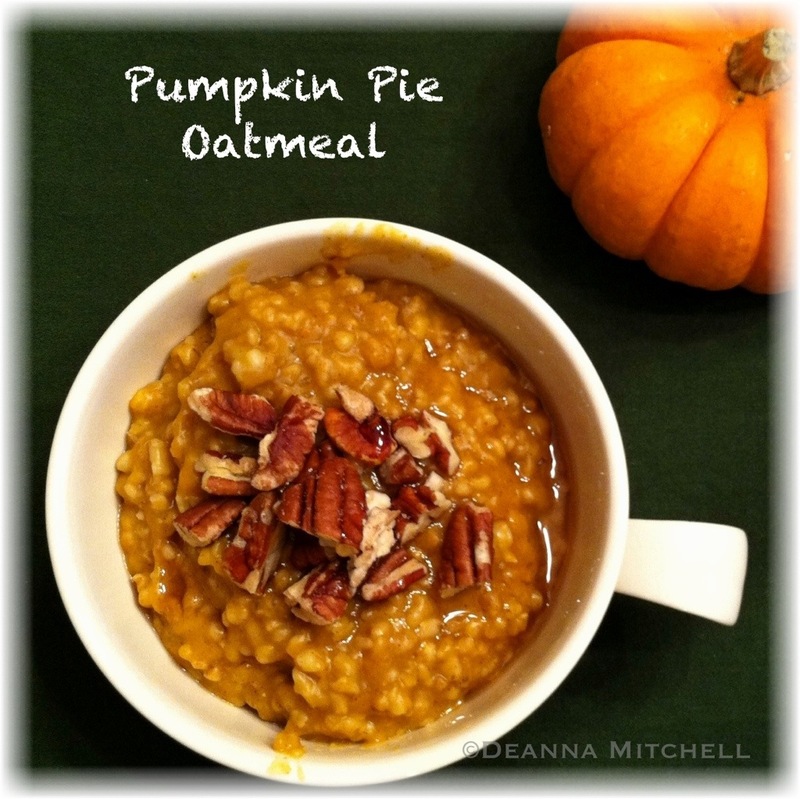 If you love pumpkin pie, you will go crazy for this oatmeal. I think this is like a Snuggie in a bowl! Using the crock pot recipe above, substitute 1 cup of water for one can of organic, unsweetened pumpkin. Add a healthy tablespoon or two (I use 2) of pumpkin pie spice and cook overnight. In the morning, the pumpkin will be at the top of the pot. Just stir it all back together and top with chopped pecans and a drizzle of maple syrup. Mmmmmmm, mmmmmmmm! Love the crock pot version. I found a stock pile of Bob’s Red Mill Steel Cut Oats at Big Lots. The grocery store couldn’t sell them I suppose? It was a happy shopping trip. Oh! Watched a documentary last night on Netflix & thought you’d dig it if you haven’t seen it already… It’s called Farmageddon. I will have to look that up on Netflix!